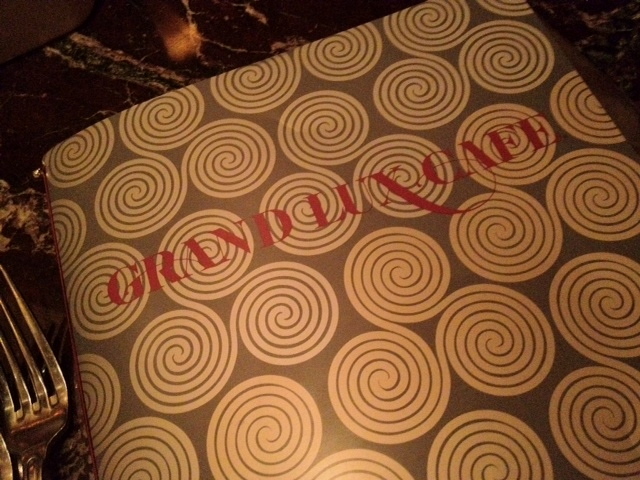 The Grand Luxe | how 'bout some cake? I’m a phase person, and I always have been. There was my country music phase, my bloody mary phase, my vegetarian phase… the list goes on. I get tired of things pretty fast. On the other hand, when my fiancé falls in love with something, he falls HARD and he never tires of it. 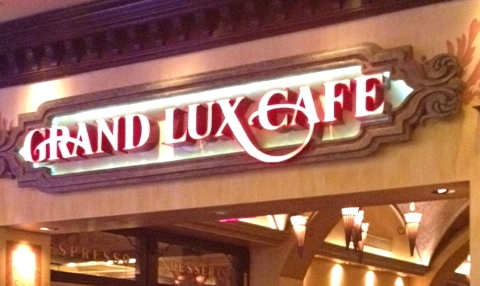 I’ll never understand how he can eat bland grilled chicken everyday, but one of his loves I do get is The Grand Luxe Cafe. 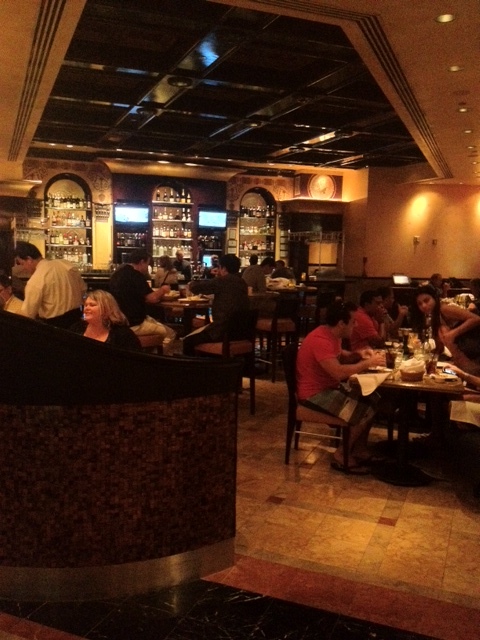 There are two Vegas locations, and we dine at the one in The Venetian at least once a week. Since the food is good and the menu is huge, I order something different every time and have managed to evade boredom. It’s huge so there’s never a wait, and the service is always great. Plus, it’s open 24 hours which is a huge selling point for late-nighters like us. It’s the perfect weeknight place because it’s nice enough that you feel like you’re going out to dinner, but not so nice that dinner for two puts a gauge in the wallet. 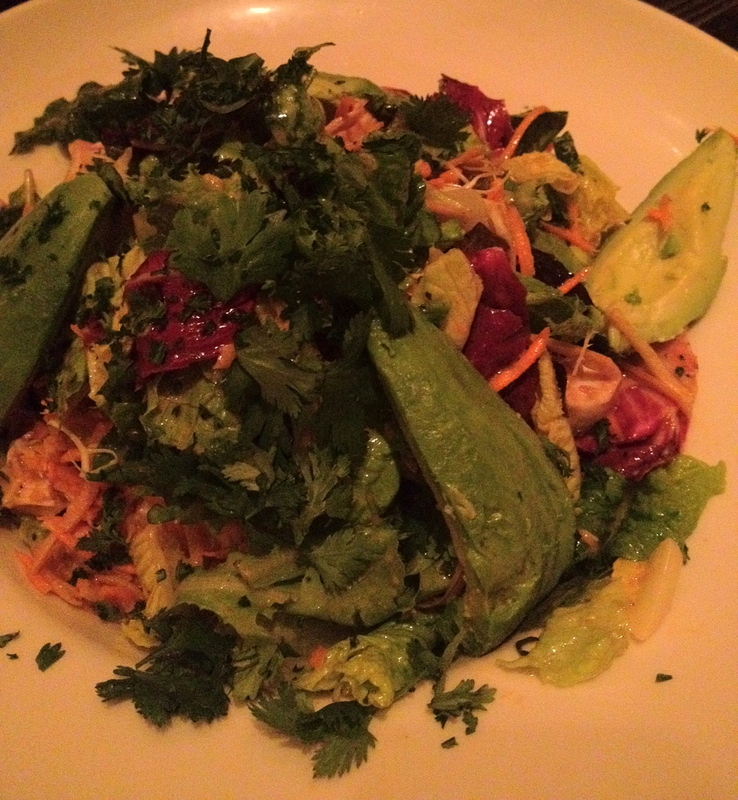 Jason always orders the Chicken Avocado salad, which is weird because he hates salad. 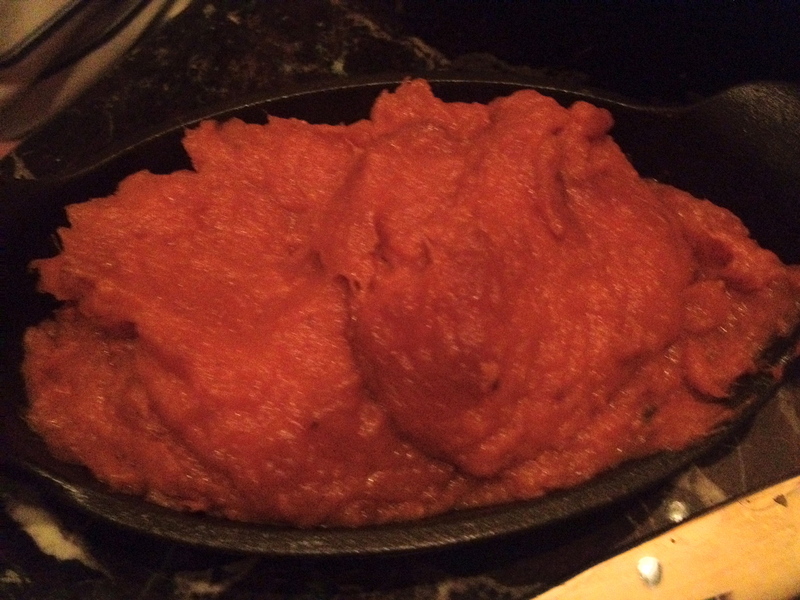 He usually adds a side of mashed sweet potatoes, because theirs are fabulous. Last night, I tried the Sesame Tofu. 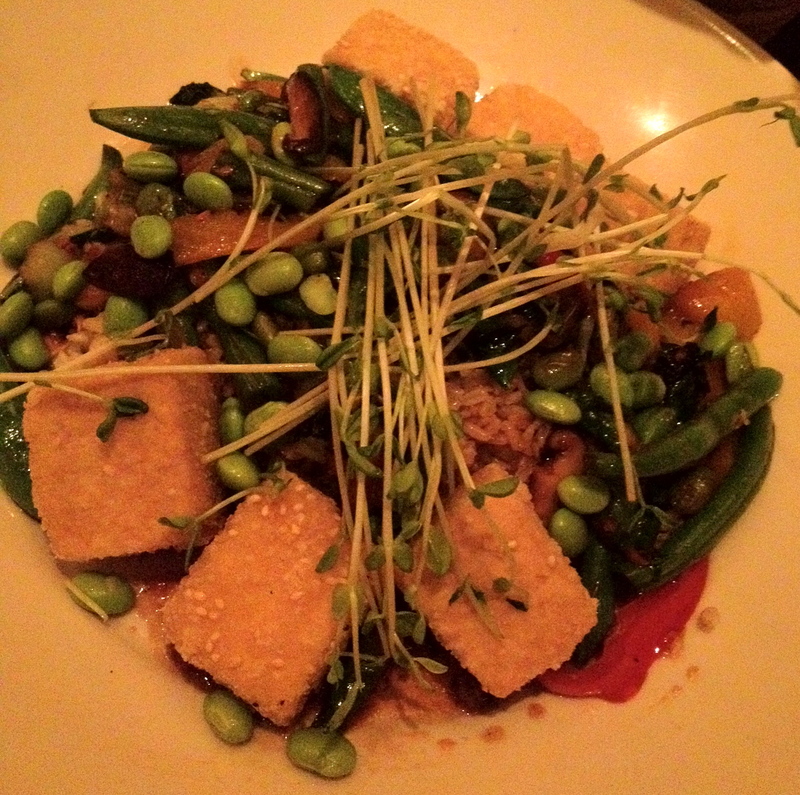 It had stir-fried veggies piled on a mound of brown rice, with crispy fried tofu squares arranged delicately around the perimeter. It wasn’t the best thing I’ve ever ordered from there, but it was exactly what I was in the mood for and good enough to order again. This entry was posted in Food & Recipes, Travel and tagged Las Vegas, Las Vegas Restaurant Reviews, Las Vegas Restaurants, Restaurant Reviews, The Grand Luxe Cafe, vegas restaurant reviews. Bookmark the permalink.